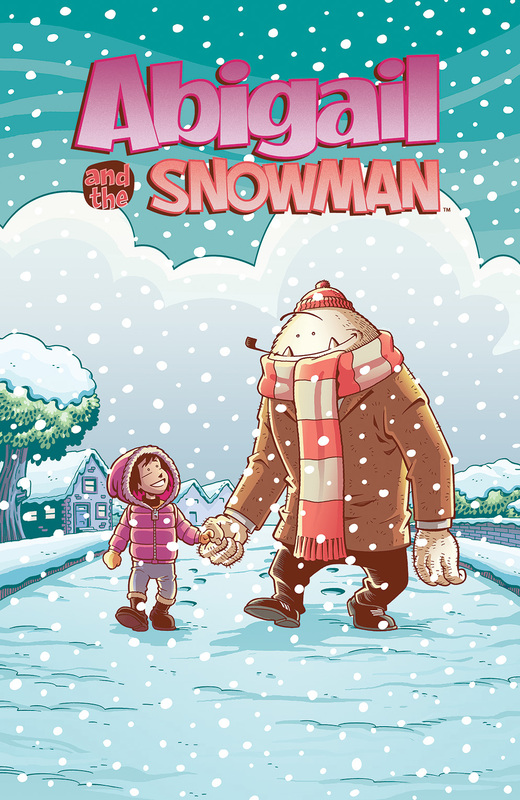 <i>Abigail and the Snowman</I> Debuts New Year's Eve from KaBOOM! Abigail and the Snowman Debuts New Year's Eve from KaBOOM! Two things go together: snowmen and New Year's Eve. The two work out because you usually don't have one without the other, as New Year's Eve finds itself in the throes of winter. There's one more part of the equation though that makes it even more spectacular in KaBOOM! Studios. Group the three of them together and you've got Abigail and the Snowman, a book slated for release on new Year's Eve from Roger Langridge. This heartwarming story follows young Abigail, the new girl at school with a habit of talking to imaginary friends. When her newest friend turns out to be a real yeti named Claude who escaped from a top-secret government facility, it’s up to Abigail to keep him safe from the “Shadow Men” chasing him. Abigail and the Snowman #1 arrives in comic shops on December 31st with a cover price of $3.99 under Diamond order code OCT141174. 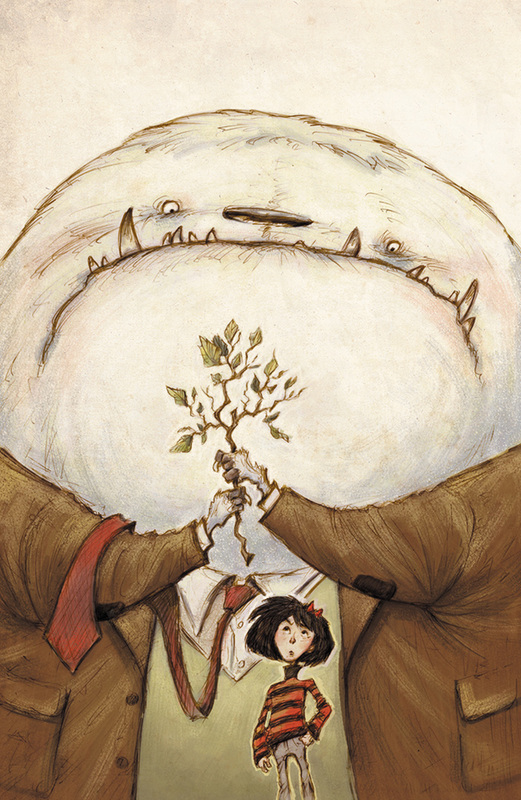 The main cover is illustrated by series creator Langridge, with an incentive cover by Sonny Liew. The Final Order Cutoff deadline for retailers is December 1st. Full press release below. Roger Langridge's 'Abigail and the Snowman' to Debut New Year's Eve from KaBOOM! November 17, 2014 (Los Angeles, Calif.) - KaBOOM!, the award-winning all-ages imprint from publisher BOOM! Studios, is thrilled to announce the New Year’s Eve release of Abigail and the Snowman, a new, original miniseries from Eisner Award-winning creator Roger Langridge (Snarked!, Jim Henson’s The Musical Monsters of Turkey Hollow). This heartwarming story follows young Abigail, the new girl at school with a habit of talking to imaginary friends. When her newest friend turns out to be a real yeti named Claude who escaped from a top-secret government facility, it’s up to Abigail to keep him safe from the “Shadow Men” chasing him. Abigail and the Snowman #1 arrives in comic shops on December 31st with a cover price of $3.99 under Diamond order code OCT141174. The main cover is illustrated by series creator Roger Langridge, with an incentive cover by Sonny Liew (Malinky Robot). The Final Order Cutoff deadline for retailers is December 1st. Not sure where to find your nearest comic retailer? Use comicshoplocator.com or findacomicshop.com to find one! It’s also available for order directly from boom-studios.com.